Read about the very exciting Heritage Lottery grant to Ipswich Museum and Pay Pal’s donation to The Friends of the Ipswich Museums under News and Awards.. Kiss and Tell - Rodin and Suffolk Sculture closes with a record 23,000 visitors! A warm welcome to the Friends of the Ipswich Museums’ website. FoIM is a registered charity that exists to promote the wider knowledge, appreciation and enjoyment of the art and collections housed in the Museum's three sites within Ipswich, and to help with acquisitions and exhibitions. We support a fascinating and unique museum complex. See News above to read about our Women 100 Award and the Museums Lottery Grant. 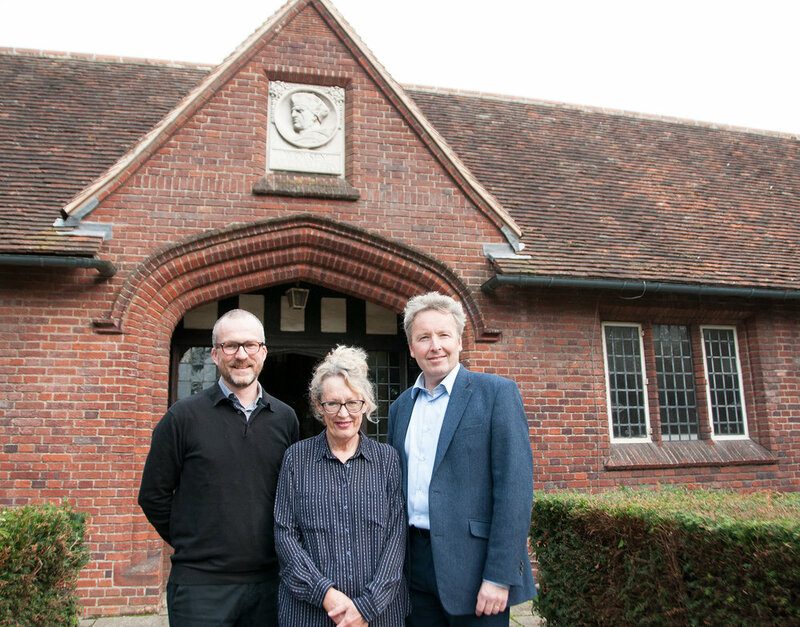 This is an exciting first step in working with Heritage Lottery to develop plans for the Museum’s future, which if successful, could lead to a substantial award of over £4m. There are over 300 FoIM members whose donations, membership fees and funds raised from special events are given to the charity - which then support the Museums. For example over 12,000 visitors attended the Museum Service’s very successful Wolsey Exhibition in Christchurch Mansion, to which The Friends donated over £6,000. On a more modest scale, The Friends recently purchased portable seats for those who might need them at the Mansion. FoIM has commissioned the restoration of paintings and sculptures from the Museums’ own collection to enhance the current Rodin Kiss and Tell Exhibition. FoIM has more exciting plans for 2019! With Councillor Carole Jones, and James Steward from Colchester and Ipswich Museums Service. “We may be a relatively small organisation but we have big dreams. The Friends play a large part in making the Museum and Mansion even greater attractions for the whole country. FoIM have donated over £200,000 over recent years, which has assisted the Museums Service to purchase and conserve art, including paintings by local artists, a Viking pendant, jewellery, porcelain, the Mason family portrait by Gainsborough, and much much more. The Museums Service has turned every £1 we have given into £7 of purchasing power, and our contributions helps with matching bids to other funding bodies. For all current Events press the tab on the menu above. Please remember that our talks and parties are open to guests.